Your generous community support has kept us going for the last 18 years! An inexpensive annual pledge provides full access to ALL community features and members. If you are a Commercial Vendor, we have special packages available to you for promoting your brand, products and services in a most effective & non-intrusive way on our website and via email. Please contact Spence directly at info@trikepilot.com for rates. 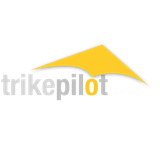 You know, I started Trikepilot Social over eighteen years ago in 2000. Back then I had driven down to Shawnee Field in Bloomfield Indiana where Rob Rollison was selling Pegasus Quantums. After I quickly migrated up to a Quantum 503 and then to a Quantum 912, I decided it was time to merge my love of photography, videography, flying, and web technology. At that time there was a new social network platform called “Ning” that allowed me to share my love of all these things with you, my fellow pilots. After a few years we moved to a different platform, called “SocialGo”, who was a client of mine at the time and offered the same “all in one” solution as Ning. Since that time, we all know how Facebook has basically become the 800lb gorilla in the social networking space. And along with it becoming so deeply embedded in many people’s lives, it has imposed a lot of costs. Many people are uncomfortable with the privacy issues and such of sharing their personal data and conversations on Facebook. Likewise, Facebook has crushed most all of the small social network platforms, such as the one that was hosting TrikePilot until this month. After I learned one morning that TrikePilot had suddenly “vanished” overnight, without a trace, I was faced with a decision of what to do next. The consensus was that I should make an effort to bring back TrikePilot.com FRESH, but to do it with open source software called WordPress. This means that there would NEVER be any issue of either privacy concerns or our precious history being lost again. Thankfully, I’m in a good position to make this happen because my livelihood is in creating membership and community solutions and marketing automation for small businesses. But the time required to do this RIGHT is significant. More importantly, if I’m going to really make this thing a LEGACY for all of us… I need it to be a COMMUNITY SUPPORTED endeavor, rather than the labor of love it was for me the last 18 years. Today I’m a single dad of three great boys, with full custody. The only way I can build the type of Trike Flying community that is REALLY SPECIAL and UNIQUE…is if we do it like all the other great aviation communities, such as the EAA and AOPA. All of them operate by providing a symbiosis with their membership that is “not” charity. Rather, it’s a fair contribution per year, in exchange for something magical. A place that pilots can call their own, and feel a sense of pride and ownership around…both by their financial and informational contributions. With the new TrikePilot.com, I’m of the belief that MOST of you will recognize that I can finally make all the great things happen that you’ve been wanting these last 18 years, while also being able to dedicate the required time to make this grow into something better than ever before. As we’re starting with a BLANK SLATE right now…I think the only choice now is to make this into a PLEDGE DRIVE model this year. If any of you are familiar with Kickstarter.com, you know that some seriously COOL and otherwise unavailable products and services are now created by asking a group of like-minded people to come together and pledge an amount that is a great deal for the value received. So, I’ve come up with an annual pricing model that will allow me to launch the new TrikePilot.com on our own WordPress custom setup, for this year and for many years to come. This is an amount that I think is both fair and reasonable for anyone that participates on the site even once or twice a month (or more). And I’ve also come up with a way for Vendors and Instructors to offer “Free” memberships to their own prospective customers for the first year to allow them to become friends and contributors here as well, with no further cost out of their own pockets. Either way, this is going to be a “rebuilding year”…so the more of you who say YES…the more likely we’ll have this place ROCKING IT in no time…and even better than before. When one is a member, and logs in, everyone has full access to all the best features, specially setup to be simple, easy to learn, and mobile friendly. These include Photos and Albums, Video Posting anywhere, Forums, Profiles, Notifications, and more. Pricing is based upon the honor system. If you are a student pilot or just curious, it’s only $50 for the ENTIRE YEAR. If you’re a seasoned pilot, it’s only $100 for the whole year. Given how much incredible information, entertainment, friendship and more was provided by the original TrikePIlot, it seems that this is a number most of you said would be a real bargain for an ENTIRE YEAR of access….or an amount you feel would be a nice way to say “let me help” to get TrikePIlot back up and running again for ALL pilots. I’m not setting a “minimum” amount from this PLEDGE DRIVE, but am suggesting that if it doesn’t hit a certain amount of participation… I’ll probably just refund any contributor’s pledge and call it a day. The MAIN PURPOSE of asking for all of you community members to vote with your credit card (even for the student membership amount), is so I both know that you WANT THIS and know that I can SERIOUSLY FOCUS on spending the time to make this happen. Signup now on the front page of TrikePilot.com. Thank you for your anticipated support…and I look forward to seeing you all again on the site!